12 Bucket and Shovel Brads. 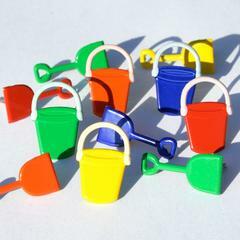 These brads are a mix of green, red, yellow, orange, and blue buckets and shovels. Size: 20mm.